Hello!! Yep it's that time again! 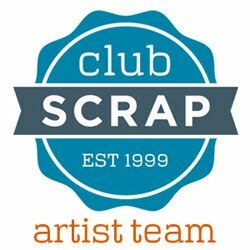 Club Scrap Blog Hop time! 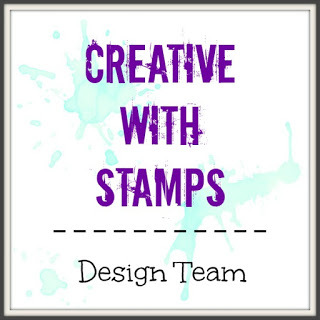 If you've been following along the Blog Hop you should have just come from the talented Hetty's blog. This month's kit is called Color Me Happy and it's one of my favorites so far! 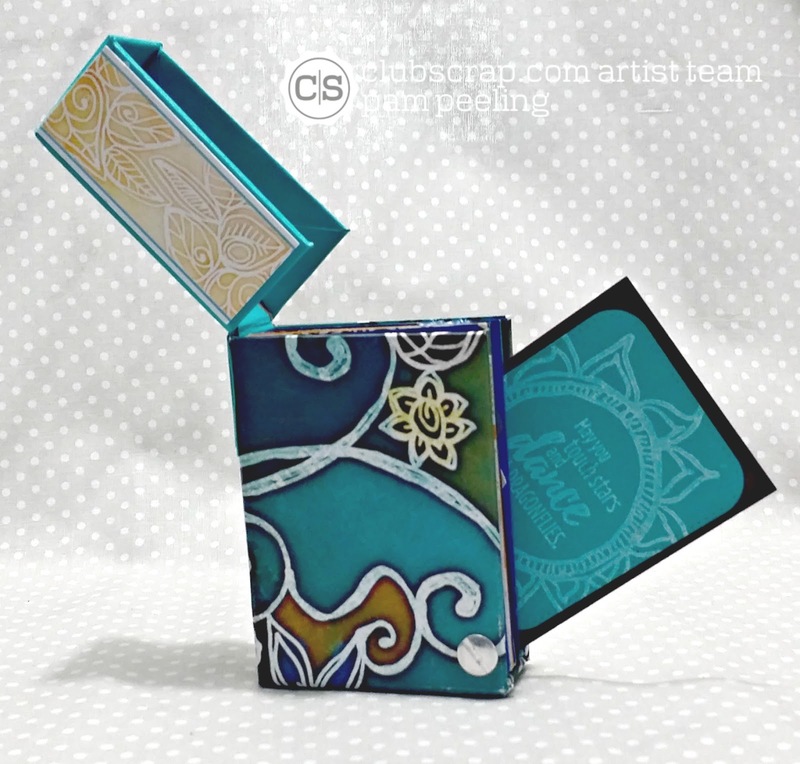 The theme is inspired by batik designs and features rich teal, blue and brown colors-my favorite combo! I decided to make a little box that is fastened together with a chicago screw that holds ATC's. 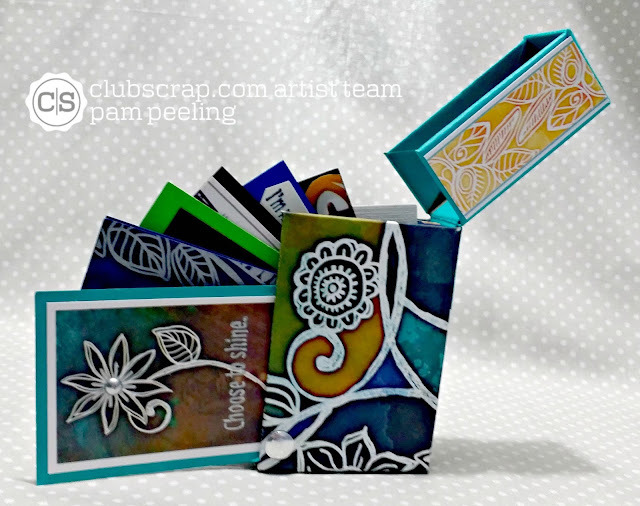 I used chipboard for the box and papers from Color Me Happy Deluxe kit to cover the box and make the ATC's. The "Love" stamp is from the Club Scrap Garden Shed kit. This wasn't my own design although I altered the size to fit ATC's. You can find the instructions HERE. You can slide down 1 ATC at a time or a bunch! The gold and silver dots are from this kit as well! The next stop on the hop is the Fabulous Tricia! Follow along to see what she did with this amazing kit! And don't forget to link your own Color Me Happy creation! This is a totally hot project and thanks for the instructions. What a delightful project and so special using the wonderful collection from this month. Totally casing this. 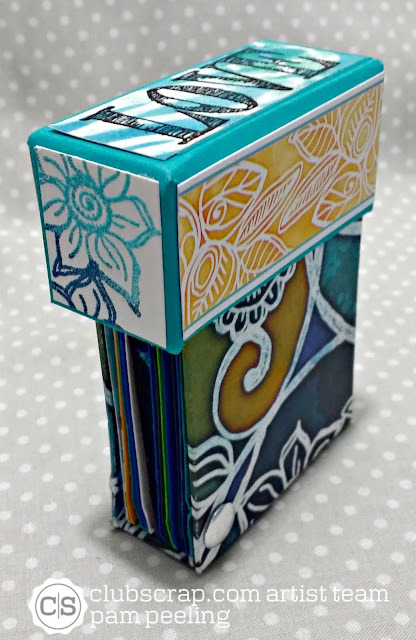 What a fun ATC holder! Too stinkin' cute - I may have to snag that design and use it for some of my ATC's I have laying around here. What an adorable box!! Love what you have done here Pam, great job! What a darling box and perfect for holding photo's too! Beautiful job!!! Awesome project, the way the lid opens and you can slide out the cards is cool! SU-PER CA-UTE!!! I want one! LOVE this! AWESOME! Love your box and opening. Such a fun way to store your ATC's. Awesome box! 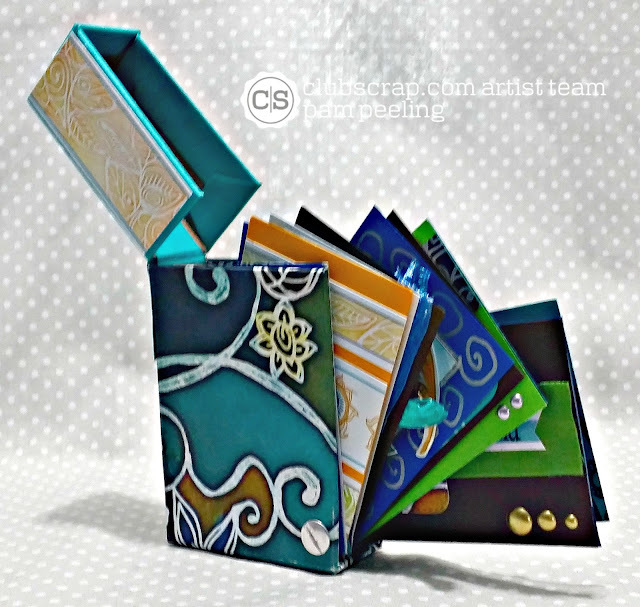 I love that you can store your ATCs inside it too! THe colors are so fun and vibrant! TFS! What a fun project...I love how you altered the original project to fit your needs. Clever! How fun is this box! Very creative, beautiful and functional! Wow, really cool box you've made here!! Love how the pages rotate out, just so clever! What a fun and different project.